Building new and better business is the ultimate step to independence and strengthening resilience to external shocks. 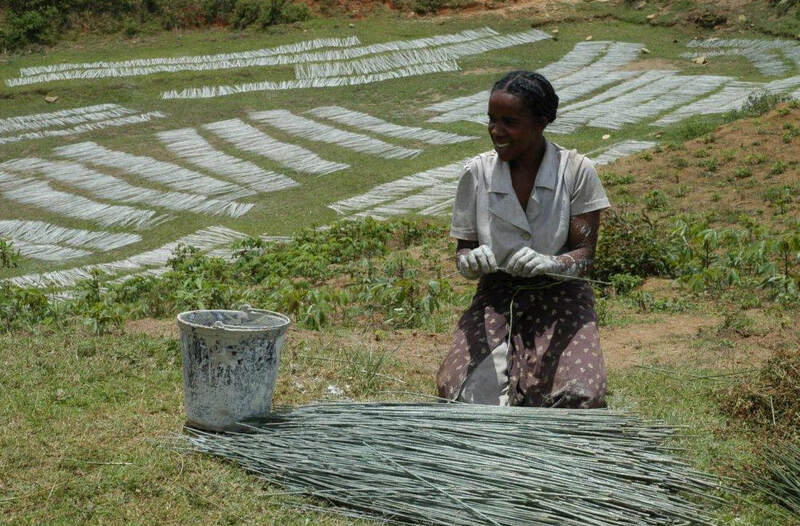 Income-generating activities that add value to agricultural or sustainably-harvested forest products help provide people with alternatives to environmentally-destructive activities and creates a lasting incentive for conservation. We work with communities to add value to traditional products, improve market access and find and train people in alternative livelihoods that align with rather than exploit the environment. We focus on the most vulnerable groups. We have had our greatest successes with silk making and weaving, basket-making, ecotourism, essential oil production​ and vanilla. 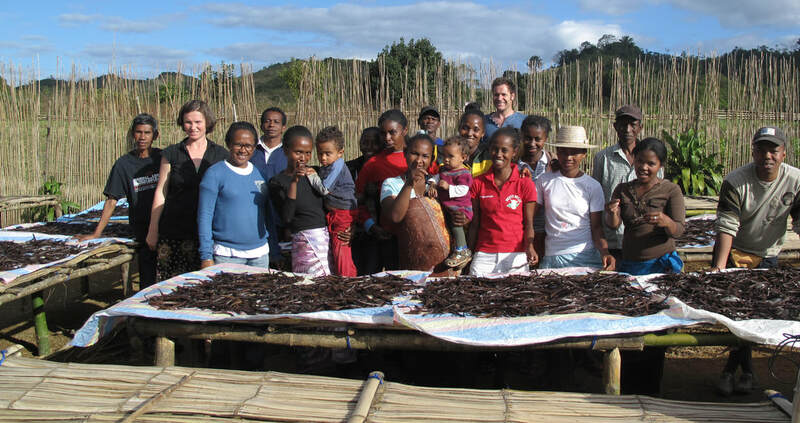 Madagascar supplies about 10% of the world's vanilla, and Feedback Madagascar projects cover around 10% of that area, so we are in a perfect position to improve conditions and supply for 1% of the world's vanilla! Vanilla cultivation and processing is labour-intensive. But all that work can be worth it: vanilla prices can go as high as $500 per kilo. We promote production where it will make the most difference, and have given vanilla cuttings to hundreds of vulnerable households to help them set up plantations. We also trained 600 households in vanilla pollination and 20 people in vanilla processing. On the eastern slope of the rainforest corridor, we supported the production of ginger and Ravintsara (Cinnamomum camphora, family Lauraceae). Two essential oil processing units were installed, with over 230 people involved in producing between 29 and 60kg of oil per year. Feedback's silk projects have been a huge success. They improve the lives of women whilst giving value and protection to the native Tapia forest. With a lot of hard work on the part of all of the women in the project association, and a few retail contacts we were able to give them, they have gone from strength to strength and their numbers continue to expand. We created an association of female basket weavers in 2006 with 140 members. 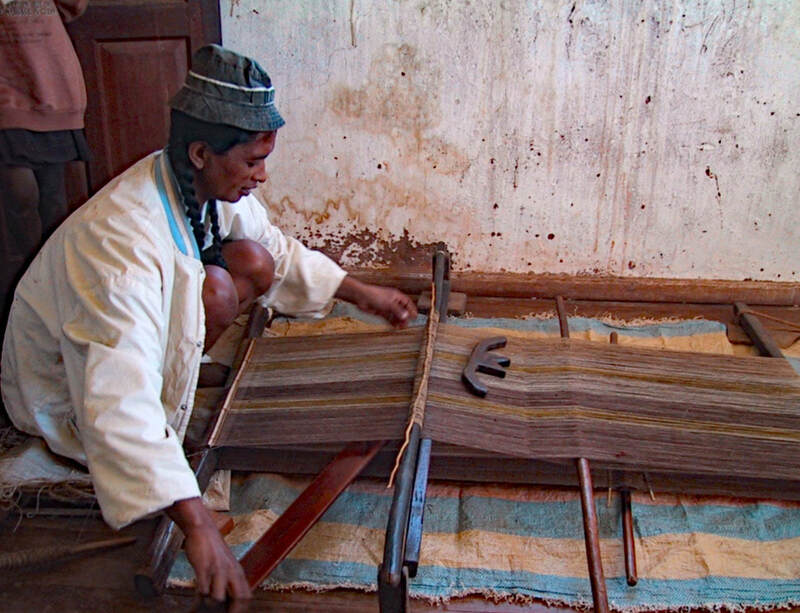 We helped produce raw materials and taught our weavers new techniques and skills like quality control and marketing. 14 wickerwork workshops were built in different villages and a sales point set up in Ambohimahamasina and in the town of Ambalavao. The association was transformed into a Cooperative in 2011.